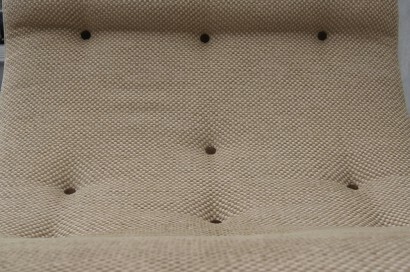 Adrian Pearsall’s design for Craft Associates places a dramatic wave of upholstery on splayed legs of walnut. 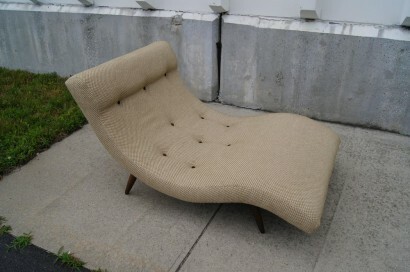 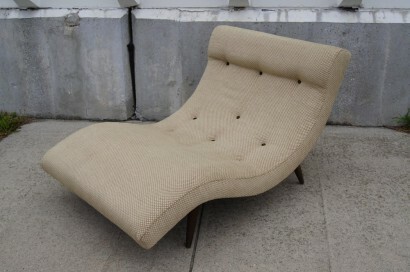 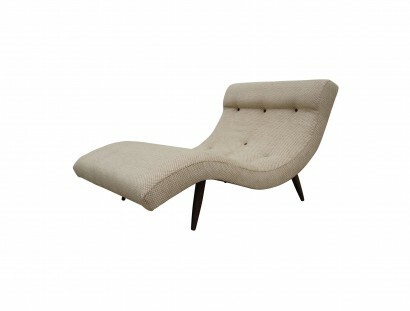 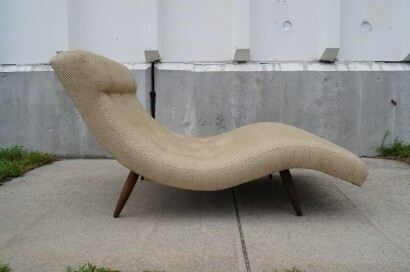 This chaise longue is large enough for two to lounge comfortably together. 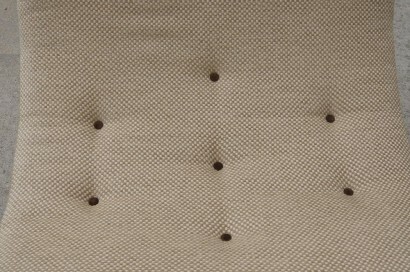 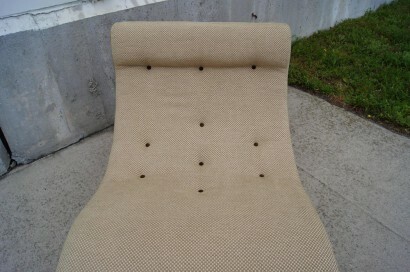 The soft bouclé́ is tufted with contrasting brown suede buttons.